naughty hand of mine.. just bought another piece of glass home... it's extremely wide! widest of them all. and it's kinda fishy..
Tada~ the PELENG 8mm, f3.5. made in Belarus(Russia). too bad it's Fully Manual, but it's fully metal. hardly see people selling one of these out there. i'm lucky to found one, am i? 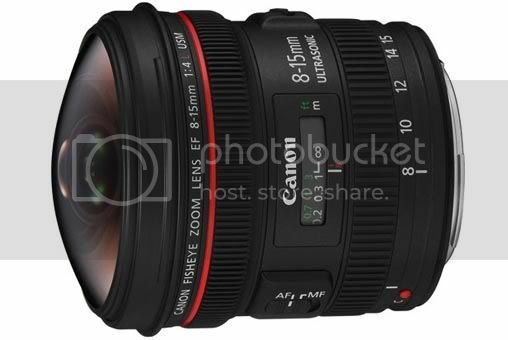 The Canon EF 8-15mm f/4 L USM, i guess beside Tokina, canon is the ONLY manufacture producing Fish-eye ZOOM lens. 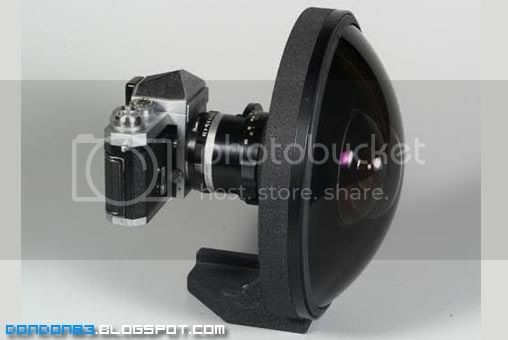 which can use as Diagonal Fish-eye or Circular Fish-eye on a Full Frame Canon dSLR. 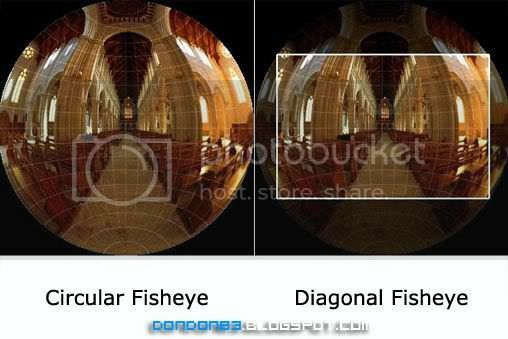 What is Diagonal Fisheye and Curcular Fisheye? Diagonal fisheyes are 180 degrees from corner to corner, and they fill the frame...there's no black edges. Like Right Picture. 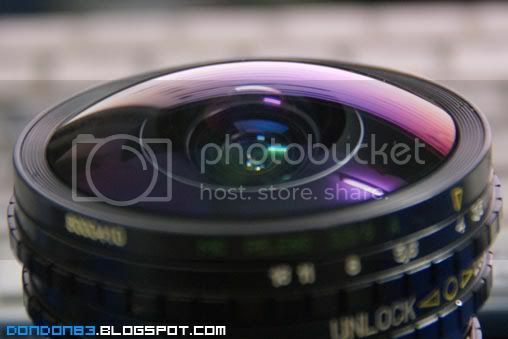 before i end this post.. let me share a legendary Fish-eye lens.. 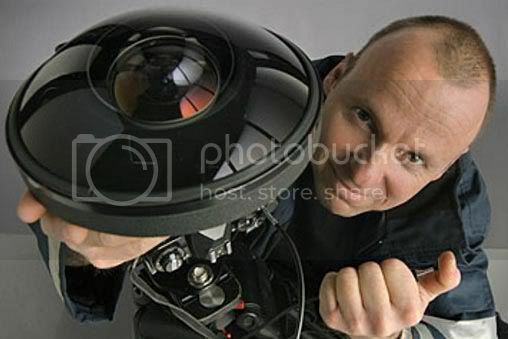 The lens is bigger than his head! yeap. 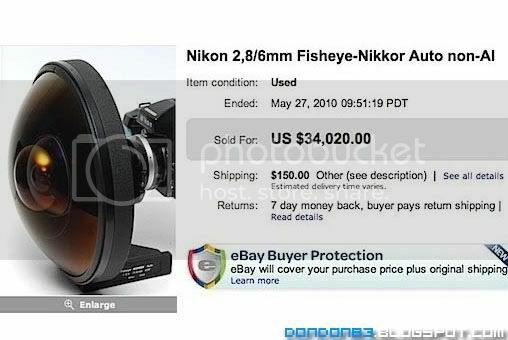 that the rare Nikkor 6mm f2.8. you are right.. 6mm!! 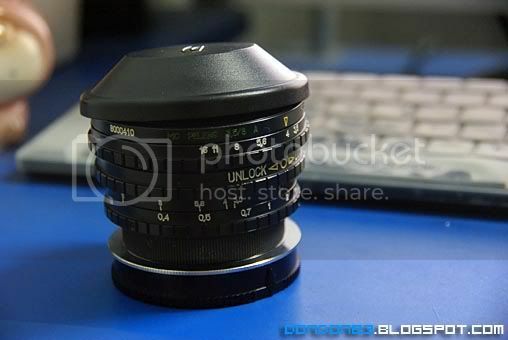 SIX MILLIMETER Circular. 8mm already 180° viewing angle. they said 6mm able to capture 220° viewing angle, mean u can see what's behind you?? here's another photo of it.. see how HUGE it is. and i bet u can imagine how heavy it would be. let me tell u.. 5.2 KG. have you ever wonder how much this piece of gem selling out there? it's 34k USD!! 34,000,00 USD. oh boy!